Episode 2×03 “CoMplications” — Polaris’ baby begins to suffer from a deadly illness, leaving the Inner Circle unable to heal her, and prompting them to turn to an unexpected source for help. Meanwhile, Reed and Lauren take an excursion to deliver illegal meds, but Reed’s powers complicate their plans. Thunderbird and Blink (Jamie Chung) meet the leader of the Morlocks – a shadowy group of mutants that live underground – who offers to help them find the Inner Circle, but the two factions may not have the same goals. Air Date: Tuesday, Oct. 9 (8:00-9:00 PM ET/PT) on FOX. 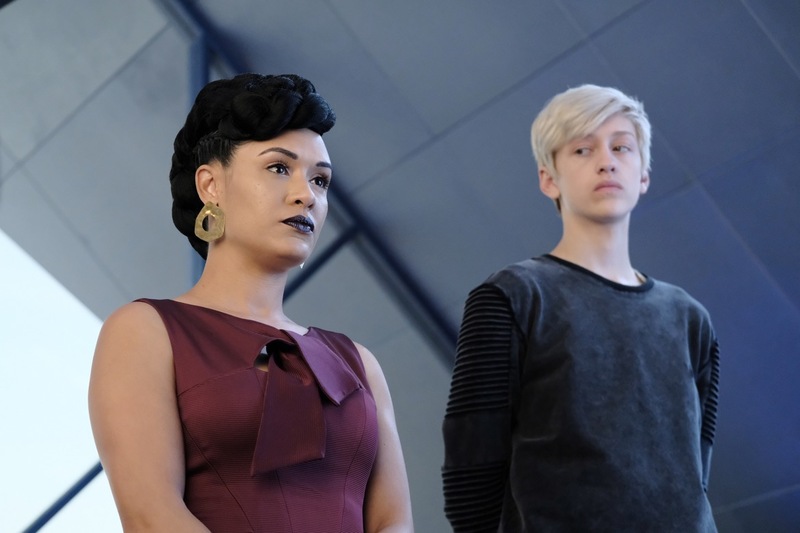 THE GIFTED: L-R: Grace Byers and Percy Hynes White in the "coMplications" episode of THE GIFTED airing Tuesday, Oct. 9 (8:00-9:00 PM ET/PT) on FOX. ©2018 Fox Broadcasting Co. Cr: Guy D'Alema/FOX.